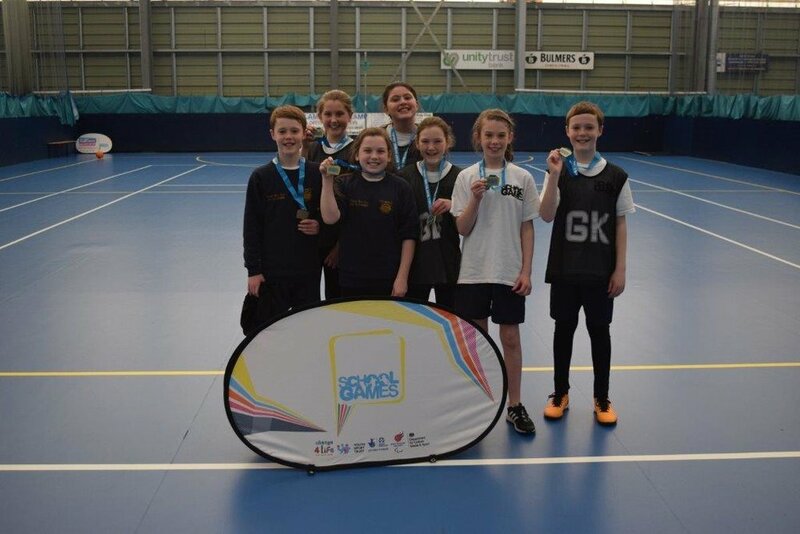 Blue Flames Sporting Club provided the centre stage for the Tyne & Wear School Games Netball Final. In total 15 schools took part in the competition and the final was between two schools from Sunderland with victory going to St Benet's Primary School and second place going to Fulwell Juniors. Sian and Evie from Dame Allens said,"We really enjoyed the Netball competition, it was great fun and everyone was really friendly. Even though the matches were competitive, all the students got on really well." As well as competing for their school, many of the students play sport for local clubs. Sian and Evie contiuned, "We also play tennis and squash at the Northumberland Club. We enjoy getting away from the classroom to participate in the school games competitions. Representing our school by taking part in sport helps our school work as it makes us feel part of something." School Sport Development Manager Claire Lee from Tyne and Wear Sport said, “We are committed to getting more people more active more often and want young people to get involved in sport, as well as develop a sporting habit for life. The School Games helps to give more young people the opportunity to play competitive sport. The standard of competition here today has been incredibly high and there has been a great show of sportsmanship throughout the event." You can view photographs from the event by visiting our YouTube channel.